Violinist Annie Trépanier's playing has been hailed by The Boston Globe as "supercharged, clear-headed, yet soulful." She is a founding member of the acclaimed Avery Ensemble and has performed throughout Canada, the United States and Europe. Her recent Avery Ensemble CD of piano quartets by Mahler, Schnittke and Brahms was an obvious favorite of one classical.net reviewer: “gorgeous… the performers clearly have passionate feelings about what they are playing. This is what loving music is all about.” She has been heard regularly in national broadcasts on Radio-Canada, CBC and NPR and has recorded for the CRI, New World, Ongaku, & Zephyr labels. She is a former member of the New World Trio and the Diabelli String Quartet and has appeared as a guest with such ensembles as the Copenhagen and Adaskin String Trios. She studied with Denise Lupien, Claude Richard, Teri Einfeldt, Philip Setzer, and Pamela Frank and holds degrees from McGill University, the University of Ottawa and The Hartt School. In addition, she studied chamber music with members of the Orion, Emerson, Cleveland and Orford String Quartets. Ms. Trépanier is on the faculty of The Hotchkiss School and also performs and teaches each summer at the Wintergreen Festival in Virginia. 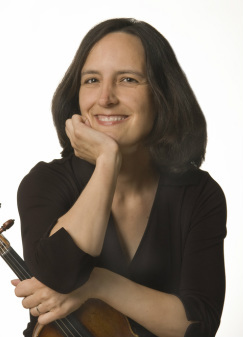 She is currently the concertmaster of the Connecticut-based chamber orchestra Aeterna.